Places of commerce and exchange. 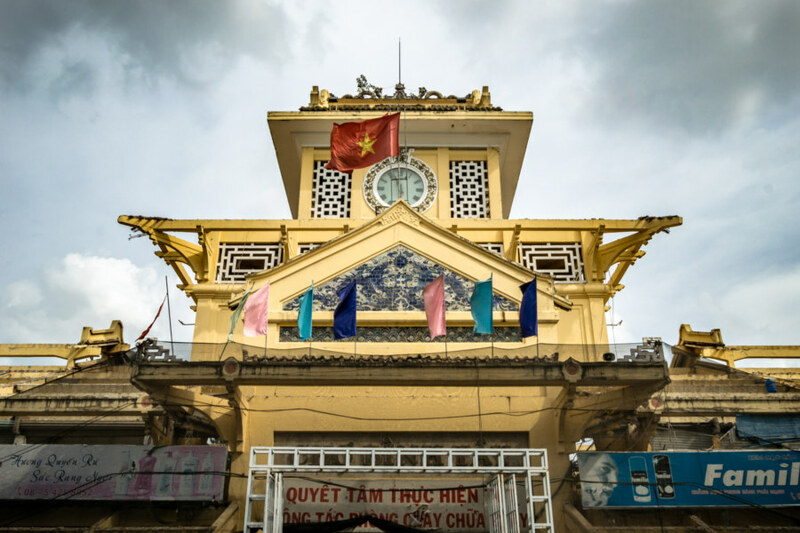 My first walkabout brought me to District 5 in search of Cholon, HCMC’s historic Chinatown, which was originally a settlement separate from colonial Saigon. Cholon literally means “Big Market” so I made a point of visiting Binh Tay Market (Vietnamese: Chợ Binh Tây), which is just over the border in District 6. Along the way I noticed many temporary structures along the roadway so it was no great surprise to discover the famous market closed for what I would assume is renovation. 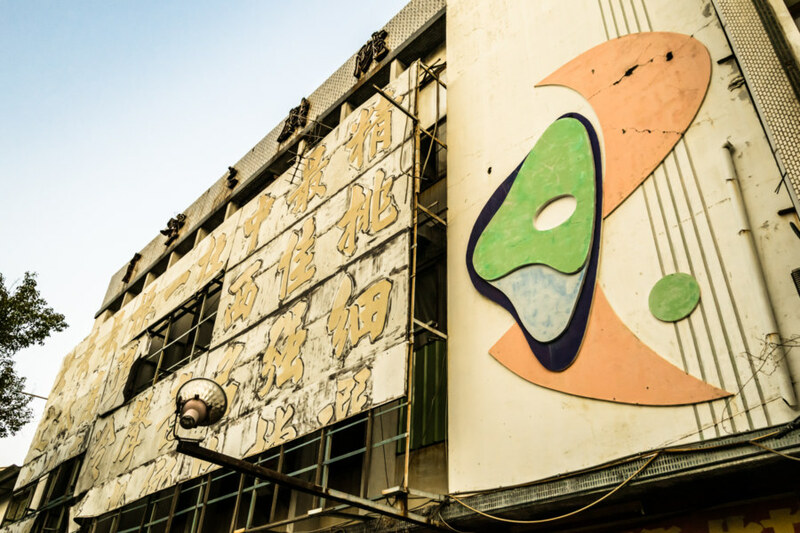 Recently I added yet another theater to my growing catalogue of old school cinemas in Taiwan: the derelict Dong’an Grand Theater 東安大戲院 in East Tainan 台南市東區. This theater opened in 1969 and closed its doors not long after the turn of the millennium, another victim of changing consumer habits. I wasn’t able to find a way inside this theater so this post only features a handful of exterior shots and some links I chanced upon after conducting preliminary research. Recently I have undertaken several expeditions to Jianguo Public Market 建國市場 in Taichung 台中, formerly the largest traditional market in Taiwan. 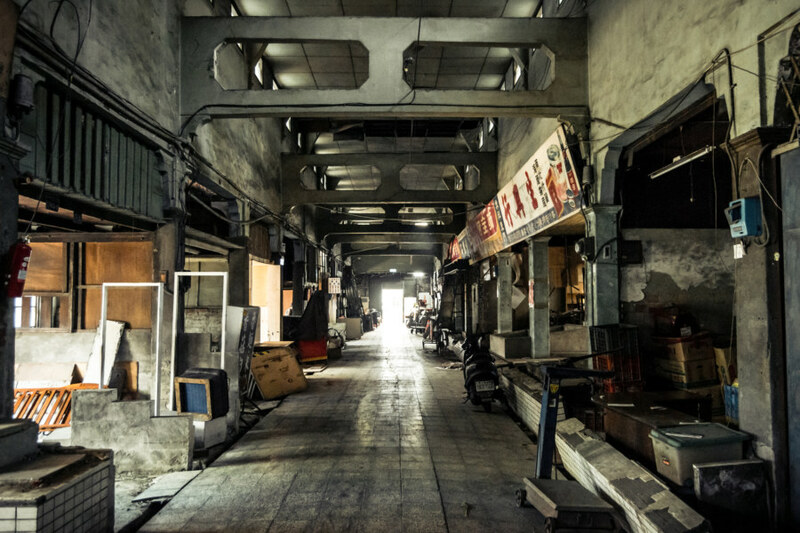 As part of an ongoing effort to revitalize the area around Taichung Station 台中車站 the market building is scheduled for demolition in a few months time. Many residents have already been evicted and plenty of businesses have moved to a new market building on the other side of the railway line. 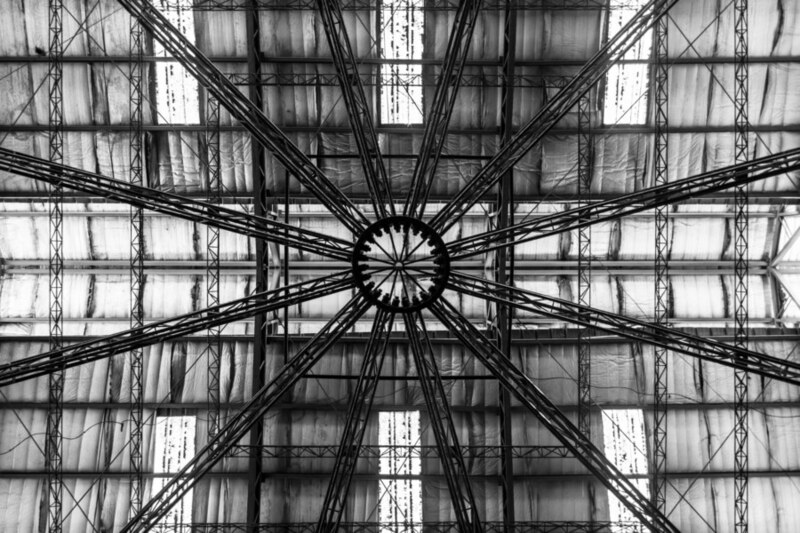 I will at some point publish a full post about this doomed relic of the KMT authoritarian era—but for now here’s an abstract shot from within the very heart of the old market building oddly reminiscent of another another famous ruin in Taichung. 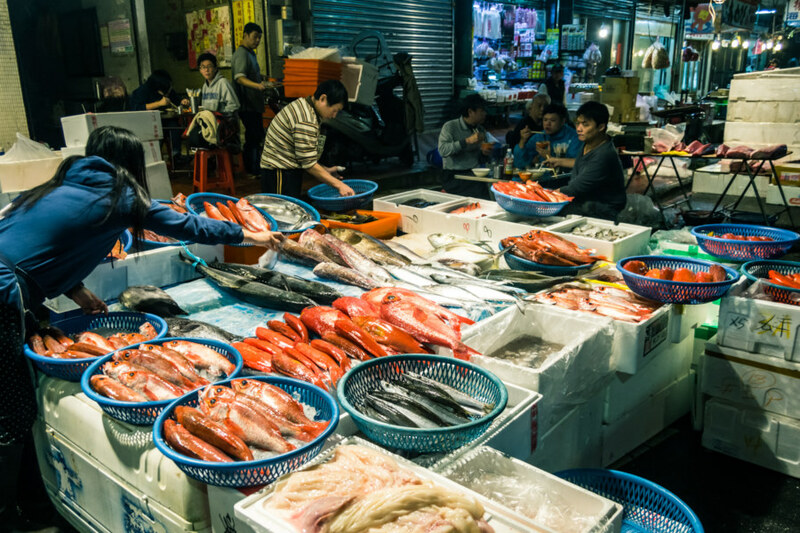 Kanziding Fish Market 崁仔頂漁市場 is supposedly the longest-running operation of its kind in northern Taiwan. 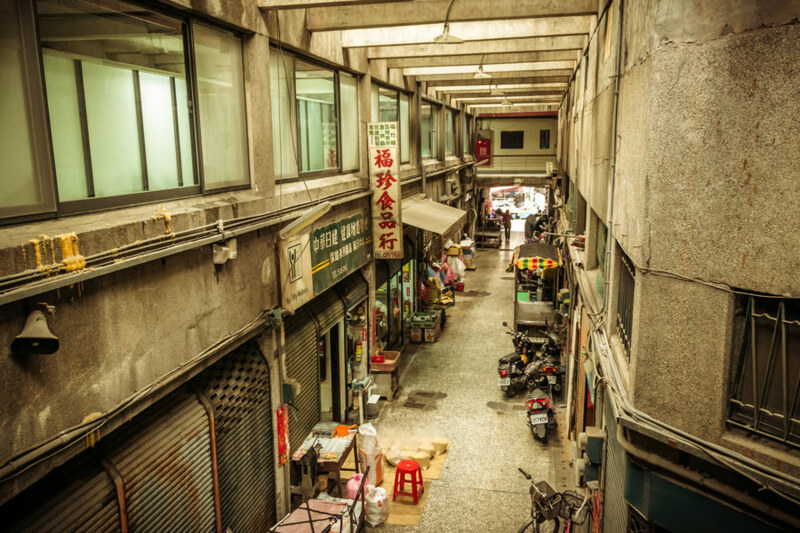 Back in the Japanese colonial era the market was located along the banks of the Xuchuan River 旭川河 in Keelung 基隆, formerly a navigable channel running through the downtown core into the harbour. The Japanese built a pier in the late 1920s, making it easy for fishermen to offload their catch next to the market, and convenient access to the railway network encouraged its growth. 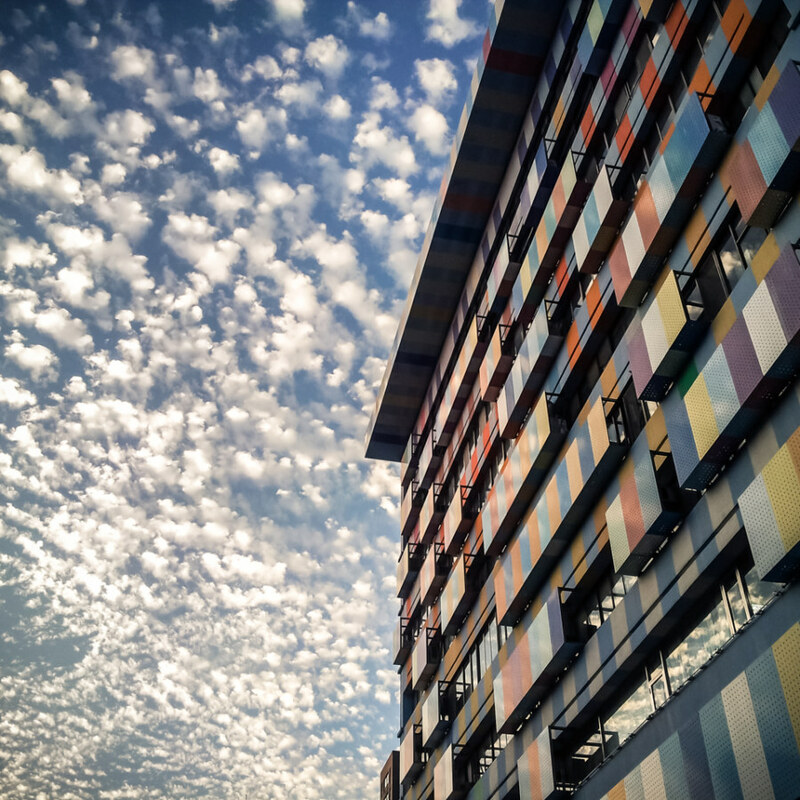 Little fluffy clouds swept into Taipei 台北 and everyone seems to have lost their minds. I captured my own version next to the iconic Shuiyuan Market 水源市場 near Gongguan Station 公館站 in the southeastern tip of Zhōngzhèng District 中正區 and was amused to see dozens of people doing the same once it finished uploading to Instagram. I know it unnerves or annoys some people to be a part of a trend but in Taiwan I really don’t mind. It’s kind of charming how even the smallest, most trivial things can unite an entire city, if only for a moment. I haven’t spent much time in Bǎnqiáo 板桥, one of the most densely populated cities in Taiwan, so it was with some degree of surprise that I emerged at street level from Xinpu Station 新埔站 to this chaotic street scene. Pictured here is the entrance to Xinpu Market 新埔市場 (pinyin: Xinbu Shichang), mere steps from from MRT exit. Much like a Japanese shotengai 商店街 (shopping street), the entire length of the market is covered with an arched roof to provide some measure of protection from the weather. 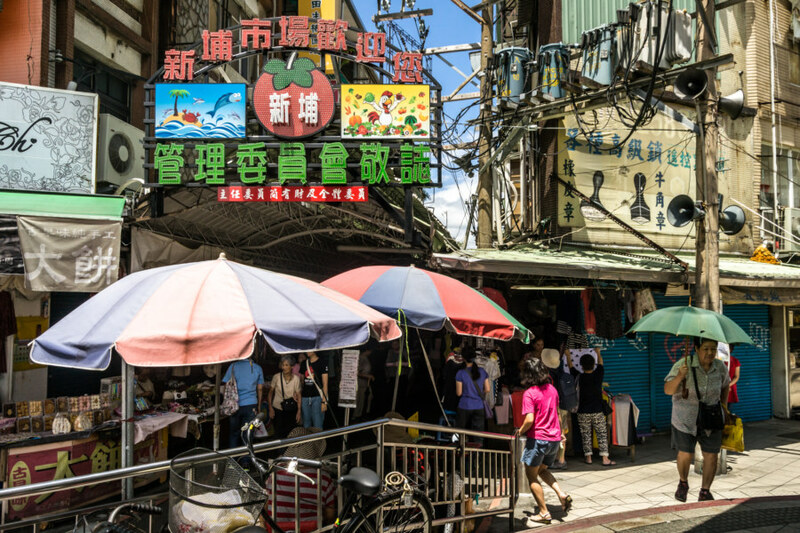 West Market 西市場 (sometimes referred to as West Gate or Ximen Market 西門市場) in Tainan 台南 was once the largest market in southern Taiwan. The first market building on this location was erected sometime from 1905 to 1908 under Japanese colonial rule. This building was later reconstructed in 1920 after suffering typhoon damage. It remains a hub of commercial activity in this part of the city up until the present day—but its very heart has been hollowed out and mostly abandoned for the last several decades. I moved to Changhua City 彰化市 in November 2014 to see what’s it like living in another traditional town in middle Taiwan. I had an interesting time staying in Tainan 台南 for three months so I figured why not give Changhua 彰化 a shot for the wintertime? 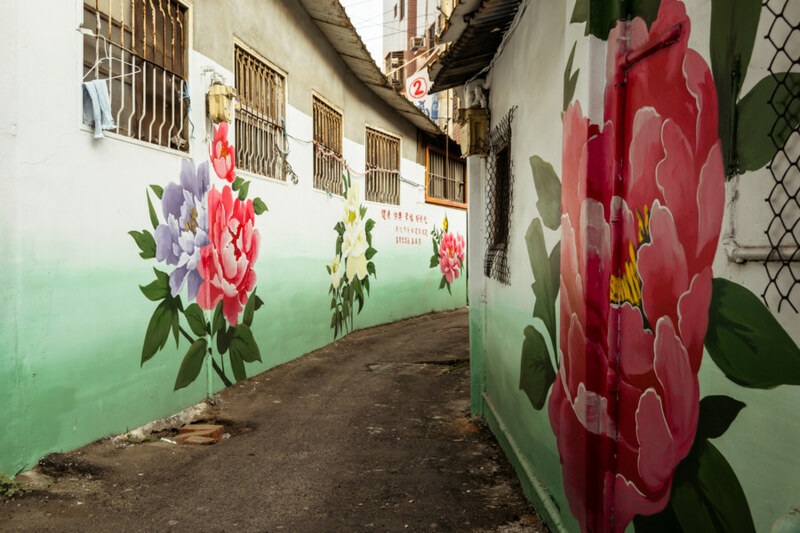 While Changhua is nowhere near as lively and interesting as Taiwan’s old southern capital it is not without charm. Here I have gathered up some of the more representative images I have captured in my first two months of residency, mostly of the area immediately to the east of the train station, which also happens to be the oldest part of town. I captured this photo of Yuanlin First Market 員林第一市場 in the long shadows of late afternoon earlier this year. 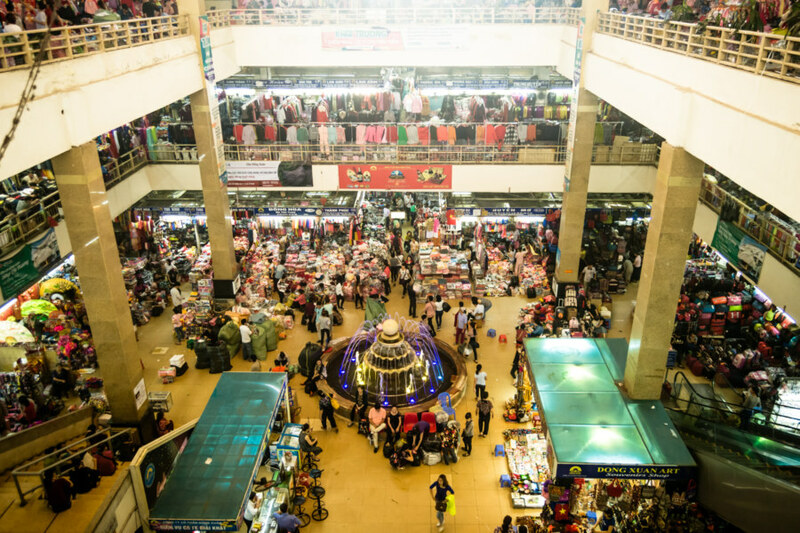 The market buildings dates back to the Japanese colonial era, though I am not entirely certain precisely how old it is, for my ability to research in Chinese is somewhat limited at present. At any rate, it’s a beautiful building, but also neglected, as much of the activity has moved to the perimeter, where street food vendors do a brisk trade after dark. The dimly lit interior is still home to a handful of antiquated shops—tea wholesalers, butchers, fishmongers, vegetable grocers, and the like—but some of the shutters look like they haven’t come up in decades. As such, it makes for a fascinating building to explore, as there’s a great deal of unspoken history hidden within. I went wandering through the streets of Luódōng 羅東 on Monday morning after stopping over to catch some rest after Organik, an electronic music festival on the east coast of Taiwan. The previous night’s walkabout was rather tame—and by day Luodong offered no greater thrills. Just about the only thing that piqued my curiosity was this old market building, a marvel of brutal concrete architecture. Strangely, there were few signs of activity within this building despite the bustling trade on the streets. Perhaps this is nothing more than a storage area for the vendors hawking goods and produce on the busy streets beyond the gate.